Pigeons spend a lot of time on the ground in the unforested parts of Little Barrier. While fruits are preferred, leaves make up a large part of their diet at certain times of the year. Most of their time on the ground they’re feeding on the fruit or leaves of Muehlenbeckia a tough scrambling climber which forms dense mats through the retired pasture and foreshore. This one though spent its time grazing on the lawn outside the bunkhouse.as you can see in the video clip below. Who needs a lawnmower! 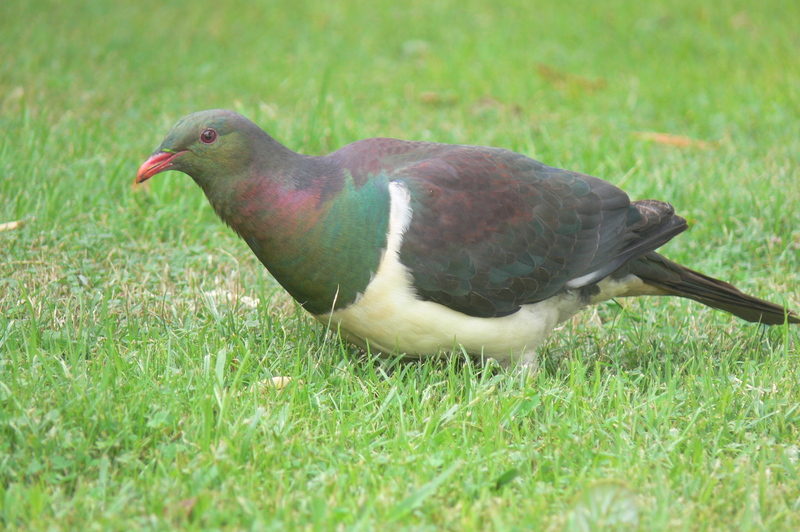 This entry was posted in Uncategorized and tagged NZ birds, NZ pigeon on April 21, 2015 by Richard Chambers.